Note: If you’re an employee of a fishing business, income earned from this employment does not qualify as fishing income. Although the Canada Revenue Agency (CRA) accepts other types of financial statements in support of your business income, form T2121 helps ensure that you don’t miss anything important when it comes to reporting your fishing income and expenses. Remember to complete a separate T2121 form for each fishing business you operate. If you’re a Québec resident, you must also file Schedule L: Business Income to report your gross and net fishing income (or loss). 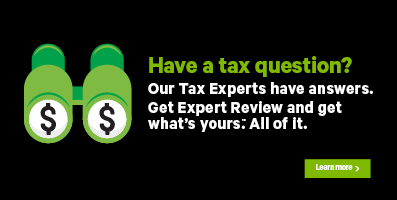 Fortunately, H&R Block's tax software automatically completes your Schedule L for you based on the information you enter on your T2121. Choose your province or territory of self-employment. Under the BUSINESS AND SELF-EMPLOYMENT INCOME section of the Employment and self-employment page, select the checkbox labelled Statement of fishing activities (T2121), then click Continue. When you arrive at the Statement of Fishing Activities page, enter your information into the tax software. Check each heading below for more details on completing each section of the T2121 page. Remember to enter information in all the fields that apply to your fishing business. Fields with a red asterisk (*) are required fields. If you have more than one fishing business, you’ll need to complete a separate T2121 page for each business. To do so, once you finish entering information in your first T2121, click Continue. You’ll arrive at the list view page for the T2121. Click the +Add Another button to add a new T2121 to your return. Did you receive a T4 slip for this fishing income? - As a fisher, you might have received a T4 slip that shows your fishing income. Since your T4 slip might not show all of your fishing income for the year, you should keep a detailed record of it. Your T4 slip also shows the amount of income tax that has been deducted from your fishing income for the calendar year. Boat name - Enter the name of your boat here. If your boat has no formal name, enter the vessel registration number (VRN) only. Your fiscal period (Start and End of business year)* - Typically, this is a period of 12 months, and covers the time from the day your fishing business starts its business year to the day it ends its business year. A fiscal period can’t be longer than 12 months but can be shorter in the year you start your fishing business or end it. Industry code* - You must enter an industry code that describes your fishing activity. If more than one code applies to your business, enter the one that most closely describes your main fishing activity. Alternatively, in the search box on the form, enter keywords that describe your fishing activity to find the related industry code. Choose the accounting method you want to use to report your fishing income - You can report your fishing income using the cash method or the accrual method of accounting. The accrual method is one where you report your income or expenses in the fiscal period (also known as business year) to which they apply, regardless of when you receive the income or paid the expenses. Generally, this is the method most commonly followed by self-employed individuals. Using the cash method, you report income in the fiscal period you received it and deduct expenses in the fiscal period you paid them. Click this link for more information on both methods of accounting. Your business has income from webpages or websites if you sell goods or services through your business’ own webpage or website, on auction, market place or similar sites operated by others, or from advertising or traffic your site generates. If you don't have a website but you’ve created a profile or other page describing your business on blogs, auction, market place or any other portal or directory sites that generate income, include this amount in your percentage calculation as well. If you’re unsure of the exact percentage, enter an estimate. Fish products – Enter the total amount in Canadian dollars that you received from the sale of fish products (such as fish, lobster, scallops, etc.). If you sell on high seas, convert the amount to Canadian dollars. Use the exchange rate at the time you sold the fish. Other marine products – Enter the total amount in Canadian dollars that you received from the sale of other marine products (such as Irish moss, herring scales/roe, seal meat, kelp, etc.). If you sell on high seas, convert the amount to Canadian dollars. Use the exchange rate at the time you sold these products. Grants, credits, and rebates – Enter the amount of grants, credits, and rebates you received during the year. This amount will be subtracted from your applicable expenses. Subsidies – Enter the amount of subsidies you received from all fishing subsidy programs made to fishers under federal, provincial, territorial, municipal, or joint programs. Compensation (insurance proceeds, etc.) received for the loss of fishing income or property – You might have received money from your insurance company for fishing property that was lost or destroyed; enter that amount here. Also include here, any compensation you received for the loss of income such as payments from the Fisheries Restructuring and Adjustment Program. Note: Fishing property can include nets and traps that you include in the inventory but not capital property such as a fishing boat or equipment that you capitalize. Sharesperson income – Enter the total amount you received as a sharesperson. Be sure to keep a record of the name of the boat and the captain, in case the CRA asks to see it later. Other income – You might have received other fishing income during the year. If so, enter this amount in the Other income field. Some common examples of other fishing income are paying debts with part of a catch or sale of property, such as small tools. Click here for more information. Bait, ice, and salt – Enter the total amount you paid for bait, ice, and salt for your fishing business in 2017. Crew's share of the catch – Enter the total amount of your crew members’ share of the catch. You can find these amounts on the trip settlement sheets. Fuel and oil costs (for your fishing boat and equipment) – Enter the amounts you paid for fuel and oil for your fishing boat and equipment. If you used your personal vehicle for business purposes, don’t enter that amount here; instead, enter it in the Motor Vehicle Expenses section. Gear – Enter the amount you paid for gear including knives, small assorted supplies, gloves, and rubber or oilskin clothing you used in your fishing business. Interest – You can deduct interest paid on money you borrowed for fishing business purposes or to acquire property for fishing business purposes. Food – The maximum amount you can claim for food, beverages, and entertainment is 50% of either the expenses you paid or an amount that is reasonable in the circumstances, whichever is less. However, there are special rules can affect your claim for meals. For example, if you bought food to feed your crew when fishing off-shore, you might be able to claim the full amount you spent. Licences – Enter the total cost you paid to renew your annual licences. If you bought a licence from another fisher, you can only deduct part of the cost each year. You can claim this cost in the eligible capital property field of the Fishing income section. If you bought a fishing boat and the price included the cost of a licence, you and the seller need to agree on what part of the price was for the licence and what part was for the boat. Office expenses – Your office expenses include small items such as pens, pencils, paper clips, stationery, and stamps. Office expenses don’t include items such as calculators, filing cabinets, chairs, and desks. These are capital items. Nets and traps - This includes lines, hooks, buoys, anchors, and radar reflectors. Legal, accounting, and other professional fees (consulting, etc.) – You can deduct the fees you had for external professional advice or services, including consulting, accounting, and legal fees. Note: You can’t deduct legal and other fees you paid to buy capital property, such as a boat or fishing equipment. Instead, add these fees to the cost of the property. Salaries, wages, and benefits (including employer's contributions) – You can deduct gross salaries, wages, and other benefits you paid to employees, including the employer’s contributions. Don’t include in this field salaries or drawings you paid or payable to yourself or to a partner; instead enter these amounts in the Details of equity section. Allowance on eligible capital property – You might have bought property for business purposes that does not physically exist (goodwill, licences, franchises, etc.) but gives you a lasting economic benefit. The full cost of such property can’t be deducted but a portion of the cost can be deducted each year. Fishing boat – Enter the total amount you paid for general repairs you needed to keep your fishing boat seaworthy. Don’t include any structural improvements and additions you made to your fishing boat - these are capital expenditures and have to be added to the cost of the boat in the CCA section. Engine – Enter the total amount you paid for general engine repairs or the cost of an overhaul. However, if you replaced an engine, don’t include the cost of the replacement in this field. It is a capital expenditure and must be added to the cost of the boat in the CCA section. Electrical equipment – Enter the amount you paid for repairs made to electrical equipment (LORAN, sounder, fish finder, etc.). Insurance recovery – If you received an amount from your insurance for these repairs, enter the amount of insurance recovery you received. You might be able to get a rebate for the GST/HST you paid personally on certain expenses, which you deducted from your share of the partnership income. However, special rules apply if your partnership paid you an allowance for those expenses. Click here to learn more about the GST/HST rebate for partners. Under Canadian provincial and territorial common-law statutes, a partnership is defined as the relationship that exists between persons carrying on a business together with a view to profit. You can have a partnership without a written agreement. To help you decide if you’re a partner in a certain business, determine the type and extent of your involvement in the business and check your province or territory’s laws. Click here for more information on partnerships. If you paid for any expenses for your business partnership that weren’t reimbursed to you, enter those here. For example, if you used your personal car to earn income for the business and weren’t reimbursed for the gas and mileage. If so, enter a description of the expense in the Describe your business partnership expense field and the amount you paid in the Amount paid for the expense field. Enter the total amount you paid for each of the following expenses – You can deduct a portion of the following expenses for the business use of a workspace in your home, provided that your home is your principal place of business or you use the workspace only to earn your fishing business income on a regular and ongoing basis. Note: You’ll enter the amount that was for personal use in another field on the page. Amount carried forward from a previous year – You might not have used all of your home office expenses last year to reduce your income tax payable. Your unused expenses amount can be found on your last year’s T2121. Total business liabilities – These are amounts your business owes at the end of its fiscal period, such as accounts payable, unpaid salaries, or loans. Drawings in 2017 – This is the total amount you withdrew from your business such as cash, assets, or services from the business used for personal use, including your salary. Capital contributions in 2017 – These are personal cash or other assets you added to the business to pay for expenses or a debt. You can’t deduct the cost of property such as furniture, equipment, or a building in the year of purchase. However, as such property wears out over time, you can deduct a portion of its cost each year (generally for as long as you own the property). This deduction is called capital cost allowance (CCA). Click this link to learn more on calculating and claiming CCA. Choose the class for your depreciable property – Select the capital cost allowance (CCA) class number to which your property belongs. A specific rate of CCA applies to each class and will help in calculating the CCA you can claim. For example, boats and their component parts fall under Class 7 which has a CCA rate of 15%. If this isn't the first time you're claiming CCA, enter the undepreciated capital cost (UCC) balance at the start of 2017 - UCC is equal to the total capital cost of all the depreciable property of the class your property belongs to minus the capital cost allowance (CCA) you claimed in previous years. Enter the UCC for the class at the end of last year. Skip this field if this is the first year you’re claiming CCA. Enter the total cost of any additions you made to this class in 2017 (include the cost to purchase depreciable properties in this class or improve existing depreciable properties in this class) - If you purchased or made improvements to depreciable property in the year, the CRA considers these to be additions to the class in which the property belongs. For example, any improvements to your boat (Class 7) are considered additions to the class. Add the total business part of the cost you paid to buy or improve property that belong to the same class and enter it in this field. Click Add another class, to enter the cost of additions for a different class. Total cost of all the land additions in 2017 – Enter the total cost you paid to buy land in the year. Total proceeds from all land dispositions in 2017 - Generally, this is the selling price of the land. However, it can also include payment received for expropriated, destroyed, or damaged/stolen property. If you use a motor vehicle for business and personal use, you can only deduct the part of the expenses you paid to earn income. Fishing business use includes trips to pick up parts or boat supplies, and to deliver fish to markets, as well as driving to and from the fishing boat if your home is your main place of business. You can also claim capital cost allowance (CCA) for your motor vehicle but you enter this amount on the CCA section of the form. Tip: Remember to keep a detailed logbook of the kilometres driven for each business trip and receipts to support your claim.